Time Magazine: Should We Declare Open Season on Bigfoot? 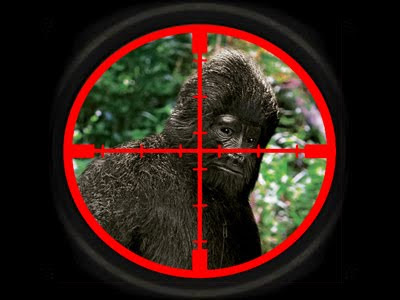 In our earlier post Skeptic Benjamin Radford posed the question, "If You Spot Bigfoot, Should You Shoot Him?" This is a debate that continuies among Bigfooters to this day. It has been said that the late Grover Krantz was in favor of killing a Bigfoot for science (read the Grover Krantz Obituary by Loren Coleman) . You can read an interview of a man who would kill Bigfoot and an article documenting Bigfoot has been shot or killed, on average, once every four years. To see the kill/no kill debate reach mainstream media status makes us hopeful that the rhetoric has gone beyond , "Is Bigfoot real?". True, this is only two articles that take on the debate, but two points makes a line. Every year, believers and enthusiasts provide heaps of secondary proof that Bigfoot exists: low-quality video, out-of-focus snapshots and the occasional fossilized “footprint.” But it’s not the quantity but the quality of proof that’s lacking, MSNBC reports. These days the public will accept nothing less than concrete physical proof. Animal Planet’s show, Finding Bigfoot, does its part to increase the amount of evidence that the “creature” really does roam the wild. Now in its second season, each week the show features a team of four explorers traveling the globe and adding more shaky hand-cam fuel to the fire. 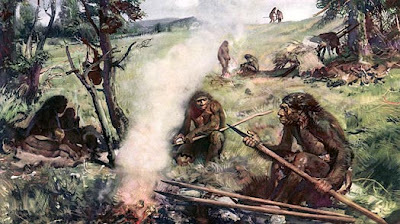 Gonzo Bigfoot hunters aren’t the only people trying to move the creature from myth to reality. Last October, more than a dozen “experts” traveled 2,000 miles east of Moscow to the Kemerovo region of Russia for a daylong conference. There, the existence of Yeti (Bigfoot’s Russian cousin) was confirmed with 95% certainty. But that rate is just not good enough. The other 5% must be proven in blood, or at least a high-resolution, tranquilizer-dart-induced photo. This has stirred a debate among the Bigfoot community as to whether it’s ethical to shoot and kill the creature. The real question NewsFeed is pondering: does anyone really want to find Bigfoot? Proving Bigfoot’s existence puts an end to all of the fun, and in the case of Animal Planet, some serious ratings. The season-two premiere of Finding Bigfoot had 1.6 million viewers, making it the most watched episode of the program and the second-best season debut of any show on the network. Four episodes into season two, Finding Bigfoot is still going strong. The show averages more than 1.4 million viewers a week, beating out other reality-TV favorites like TLC’s Hoarding: Buried Alive and HGTV’s “Holmes Inspection.” Not Kardashian numbers, but pretty respectable for basic cable. Hunting Bigfoot poses potential ethical, legal and permitting issues, not to mention putting an end to profitable TV franchises. “Finding Bigfoot” has six more episodes before it’s season finale.